Kicking off a tour in support of her highly-anticipated upcoming LP, and first in five years, Tightrope Walker, with a Sept. 19 performance at Nashville’s own Mercy Lounge and backed by a brand new band of players, acclaimed singer-songwriter Rachael Yamagata returns to town next week with Pressing Strings for what will surely be one of the fall’s best shows! A phenomenal live player with stunning emotional depth and musical versatility, tickets for Yamagata’s latest outing are still available right here. However, we’re also giving away a pair of tickets to one lucky fan, so read on for details and enter below! Hailing from Northern Virginia, alt/indie singer-songwriter Rachael Yamagata first burst onto the musical landscape just over a decade ago, with the buzzworthy release of her self-titled, debut 2003 EP and first full-length, Happenstance, a year later. Raised in the DC area, Yamagata actually got her start as the singer for Chicago group Bumpus, touring for six years before splitting in 2001 to pursue a solo career. By 2008 sophomore LP Elephants… Teeth Sinking Into Heart, Rachael had begun to drift towards the darker, sadder, more mature sound and themes she’s become best known for, layering dark and dissonant pop arrangements around her signature piano playing, and reaching a whole new audience with her unique style. Managing to find broad appeal, Yamagata’s songs have been used in numerous films and television shows, and over the years she’s performed at major festivals, toured the world, and collaborated with the likes of Ryan Adams, Bright Eyes, Ray LaMontagne, Jason Mraz, and Toots & the Maytals. A skilled composer and gifted lyricist with an earnest, unparalleled voice, Rachael has stayed a permanent fixture in the indie scene in recent years, and her latest and fourth full-length, the upcoming Tightrope Walker, due out Sept. 23, showcases some of her strongest material to date. A celebrated live performer, you’ll definitely want to hear her play the new stuff in person to get the whole experience! A perfect compliment to Yamagata’s eclectic sensibilities, and especially her rootsier tendencies, Pressing Strings hail from Annapolis and Baltimore, MD, and are gearing up to release a new EP, Most of Us, next month. Blending roots music, blues, folk, rock, and reggae, the soulful trio find a perfect bridge between timeless sensibilities and contemporary flair, with a laid back, groove-based sound that just begs to be witnessed live; show up early and see what they’re all about! Winner will be announced Monday, Sept. 19 at 10 a.m. CDT, and will receive one pair of tickets. Good luck! Win Tix to Rachael Yamagata at Mercy Lounge! 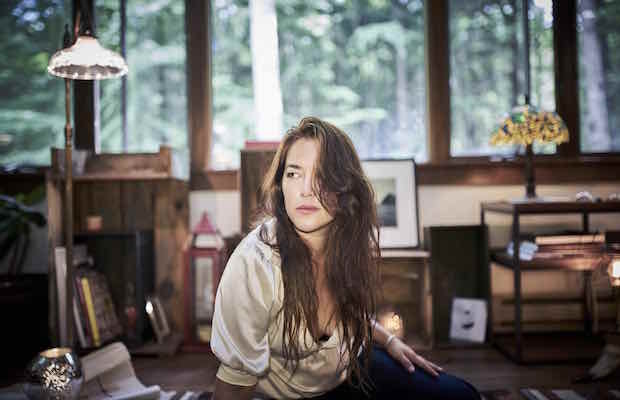 Rachael Yamagata and Pressing Strings will perform Monday, Sept. 19 at Mercy Lounge. The show is 18+, begins at 8 p.m. (doors at 7 p.m.), and tickets are available to purchase for $18-20.